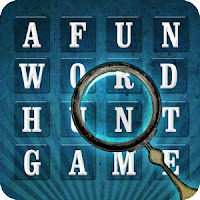 Today only you get the Word Hunt Android App for FREE! Word Hunt is a classic word search game brought to you by Learning Gems! With a steampunk artistic style, we give you 50+ Categories to choose from and 3 levels of difficulty! Not enough? That’s not all you get! Our unique word search game also allows you to CREATE YOUR OWN Word Hunt lists! No limits! Infinite gameplay possibilities! Each game is timed so you can challenge yourself to beat your best time in each game mode! You haven’t seen a word search puzzle like this before. Get your punk on! 50+ Included Word Hunt Word Search lists to choose from! No backwards words in "Easy" mode.